The donkey is suitable for a number of tasks connected with agriculture including; Chain harrowing/Flat Bed Trailer work (carrying 4 bales of hay/straw) and hoeing (small donkey hoes can still be found). 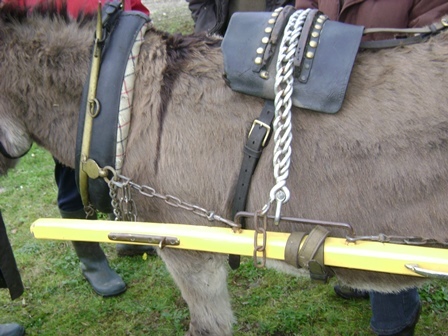 Due to the nature of the work the donkey should have a suitable Farm Harness, but any strong harness can be used, the extra length of trace needed can be added with rope and chain. We can offer an Introduction to Farm Harness and Chain Harrowing.